Africamar’s shareholders are among the leading independent liner agencies in Europe and Africa and are therefore able to offer a broad palette of destinations worldwide. They represent a wide range of Liner Principals whose in-house expertise enables them to carry out marketing policies and research, solicit cargo, arrange container traffic, provide good customer service, coordinate delivery of inward-bound shipments and receive outward-bound shipments of cargo. Our network has unrivalled market coverage delivered through strategically-located offices. Our agents have the skills, local knowledge and expertise to cover shipments in all their forms from containers, Ro-Ro, conventional and break-bulk to project and heavy lifts, systematically providing the best possible solutions in every case. 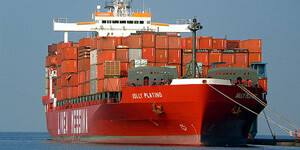 Africamar adheres strictly to all ports rules, regulations, and bye-laws.